Tinnitus is the term for noises which are heard "in the ears" or "in the head": buzzing, ringing, whistling, hissing, pulsing and other sounds which do not come from an external source. There are many different types and many different causes, some more serious than others, and if concerned you should always seek medical advice. Some are less serious and your chiropractor or massage therapist may be able to help you. The nerves that supply the ear and control its function exit from the top of the cervical spine (neck). If there is a problem with the joints, muscle, or soft tissue due to damage, inflammation or abnormal movement in this area, it can lead to abnormal firing of the nerve fibres. This can lead to symptoms, one of which may be tinnitus. It is common not to have any pain symptoms in the neck or jaw with only tinnitus noticed, so as chiropractors we look at the function of the joints. When the noise is made better or worse by changes in bodily posture, or arm or neck movements, the patient has "somatic tinnitus". Many leading researchers on somatic tinnitus, such as Robert A. Levine, believe that somatic tinnitus resulting from muscle spasms is not produced by compression of nerves or blood vessels in the ear as one might suspect, but rather from the convergence of sensory signals from muscle spindles in the head and neck with sound signals from the cochlea. The muscle and tinnitus are ipsilateral (same side). There are no vestibular or neurological abnormalities. Tone and speech audiometry is always symmetric and within normal limits. TMJ syndrome is almost always accompanied by pain or limitation of jaw movement. It's caused by grinding or clenching the teeth by excessive gum chewing, arthritis, or teeth malocclusion. Usually there is a clicking sound when the jaw is opened or closed. 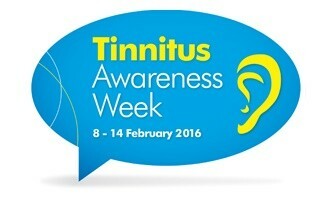 Scientific studies have shown that people with TMJ problems are more likely to suffer from tinnitus. Whiplash can also cause tinnitus. About 10% of whiplash victims develop some ear problem such as tinnitus, deafness, or vertigo . This might be secondary to TMJ involvement as some have proposed, or it could be the result of nerve injury or compression. There are three main theories behind why problems with the TMJ may cause tinnitus, or make it worse. Firstly, the chewing muscles are near to some of the muscles that insert into the middle ear and so may have an effect on hearing, and so may promote tinnitus. Secondly, there can be a direct connection between the ligaments that attach to the jaw and one of the hearing bones that sits in the middle ear. Thirdly, the nerve supply from the TMJ has been shown to have connections with the parts of the brain that are involved with both hearing and the interpretation of sound. As with TMJ problems studies have shown that patients who have suffered an injury to the head and neck region, or who have neck pain or stiffness for other reasons, such as arthritis, are more likely to experience tinnitus. They have also shown that nerve endings in the neck make connections to the hearing centre of the brain, which might explain how neck problems affect tinnitus. Treatment generally depends on the cause of the neck problem, but the results from treating the underlying neck problem are often good. For some patients, anything that causes torsion of the neck, such as having bad posture, using a pillow at night, even for a few seconds, causes a muscle spasm that invariably produces tinnitus. This muscle spasm and the resulting tinnitus may not occur immediately, but can start several hours after the neck is twisted, making the cause difficult to identify. The first step in identifying the cause of tinnitus is to get a hearing test. If hearing is normal, and pathological causes can be ruled out, it points to a possible muscle, dental, or TMJ problem. If you think these may be under lying causes of your tinnitus please feel free to contact us at the clinic to find out if we can help you. Boniver R. Temporomandibular joint dysfunction in whiplash injuries: association with tinnitus and vertigo. Int Tinnitus J. 2002;8(2):129-31. Björne A. ‘Assessment of temporomandibular and cervical spine disorders in tinnitus patients.’ Prog Brain Res. 2007;166:215-9. Claussen C, Constantinescu L.Tinnitus in Whiplash Injury. Int Tinnitus J. 1995;1(2):105-114. Folmer RL, Griest SE. Chronic tinnitus resulting from head or neck injuries.Laryngoscope. 2003;113(5):821-7. Langguth et al, eds. Tinnitus: Pathology and Treatment. Progress in Brain Research vol. 166 (2007). Shore S, Zhou J, Koehler S. ‘Neural mechanisms underlying somatic tinnitus.’ Prog Brain Res. 2007;166:107-23. Vanneste S, Plazier M, Van de Heyning P, De Ridder D. ‘Transcutaneous electrical nerve stimulation (TENS) of upper cervical nerve (C2) for the treatment of somatic tinnitus.’ Exp Brain Res. 2010;204(2):283-7.